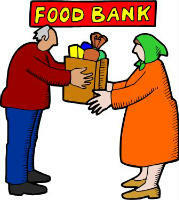 The Food Bank is now open, and any contributions can be placed in the marked container in the Church entrance. The suggested items can be found on the notice board. Thank you for your continued generosity in making donations to it.